Emreco has created this short sleeved top with a cute sweetheart neckline. The top has a satin trim that runs down the back with button detailing. 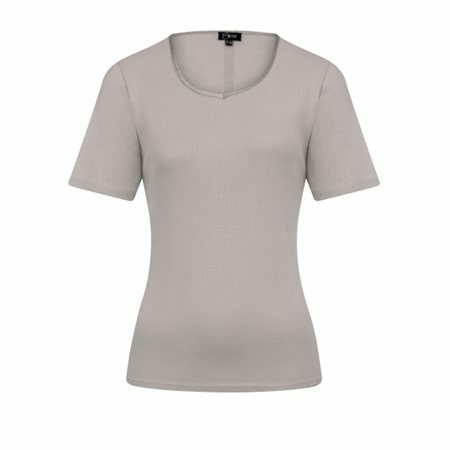 This grey top is a wardrobe staple and there are other colours available.